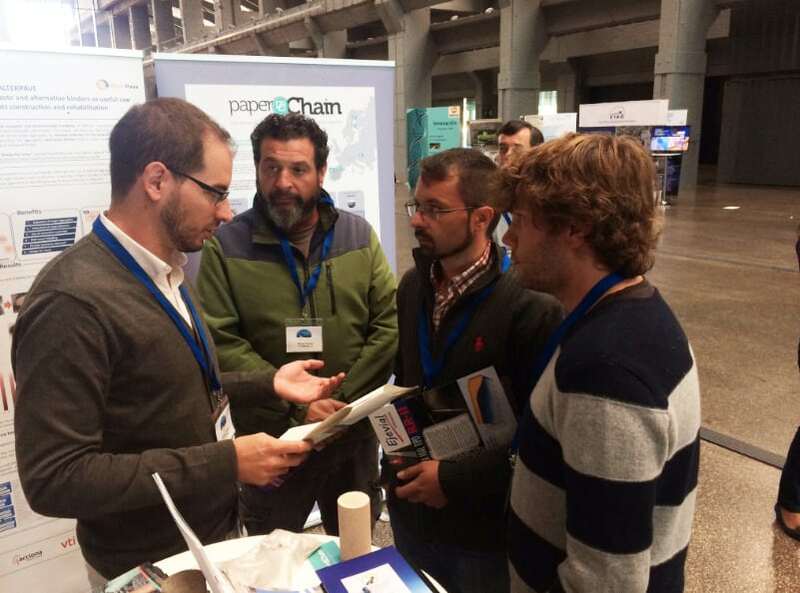 Last November, representatives of the Paperchain project took advantage of the Innovacarretera 2017 fair to present the latest news to the attendees. The fourth edition of this fair offered the opportunity to see live demonstrations, learn about I+D+i projects and new technological developments, contact with innovation generators and attend keynote lectures on the future of road infrastructures. This meeting, held in the Boetticher building in Madrid, offered the agents of the science-technology-company system the opportunity to exchange experiences and learn first-hand about the latest trends and technological developments in road applications. IInnovacarretera 2017, a biennial event promoted by the Spanish Road Technology Platform (PTC), is a great showcase for the possibilities and solutions provided by the Spanish road sector in terms of sustainability and efficiency in transport infrastructures.